Owner Assist can mean either you help us or we help you. We encourage you to take a role in your project in one of two ways. We can help you manage your project yourself. Take on the role of “Owner-Builder” using our planning and construction services and save 20% to 40% or more. When you hire a typical general contractor, every part of your project is marked-up to cover his overhead and profit. When you work with Owner Assist Remodeling, you save the overhead, profit and contingency dollars for yourself, and you can save even more for any of the work or materials you provide yourself. You can save 20% to 40% or more by managing the project yourself. You’ll get our builder discounts on materials, and no mark-up here either! You get contractor referrals to the best trades and designers – we know the good guys! PLUS you save for any part of the work you can do yourself. 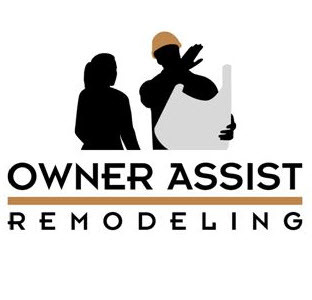 No “run-away general contractor” when you work with Owner Assist Remodeling! We are your Home Remodel or Construction advocate! We’re not trying to sell you, just help you. You use us as much or as little of our services as you need. Use our services – and you assist with just a portion of the work. We can be your design/build contractor and handle everything for you, but with a twist. Unlike most builders who do not want you involved in their work – we encourage it! We’re on your side and want you to save money! You’ll have access to award winning designers for kitchens, baths, basements, additions and any other home building or remodeling project. Either way, we’ll help you save substantially over the cost of a typical remodeler or builder.